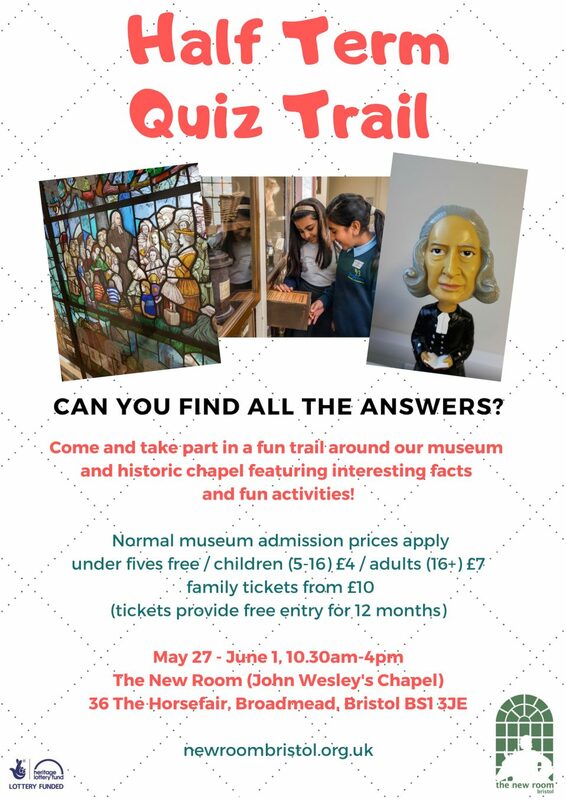 Come and take part in a fun trail around the New Room (John Wesley’s Chapel) – discovering the museum and historic chapel – featuring interesting facts and fun activities! Can you find all the answers? May 27-June 1 from 10.30am-4pm each day. NB Families with 10% off museum vouchers from the Easter ‘Calmer Llama’ Trail can use the vouchers to take part in this trail. Cafe and accessible toilets/baby change also available.